A Great Choice is the number one landscape design company in Endwell, NY for good reason. Professionals at A Great Choice have more than 20 years working in the landscape design field and that is what sets us apart from the rest. We take pride in our ability to service our Endwell, NY clients, and we do appreciate that you are the reason we have such a good reputation within the community. Our job is to make sure that you have everything you want to create the most relaxing, beautiful landscape imaginable. Let us help you to ensure your lawn looks and feels just as good as it should with our service. From landscape design to lawn fertilization to the addition of water features and custom patios, there is no job that we consider too big for us our too small for our taste. We do it all. Our goal is to ensure all Endwell residents are able to have the home or business lawn they want, and that’s why we are happy to do whatever you need and want to make that happen. Our goal is to make you happy. We love a beautiful landscape, and we know you do, too. That’s why we work to provide our Endwell, NY residents with the kind of landscape services that you need. From new home construction and a blank slate to existing homes and offices with landscaping that might need a little work, we do it all. There is nothing we will not do to ensure that you have what you need to create your dream yard. Our professionals can create complete landscape design plans or simple additions to an existing landscape for the most beautiful finishes, and we know that you will be happy with our choices and designs. From working with you and your ideas to coming up with something unique and never-before-done, we can do it all. We love a challenge at A Great Choice, and that’s what makes our company the one that Endwell, NY residents trust most when it comes to landscape design. Fertilizing the lawn sounds simple, but not doing it the right way can have no effect on your existing lawn. And for someone who has never done it before, it can be a bit of a challenge. Forget making mistakes and learning how to do something like this at home; let us do it for you. You can trust us to make sure that your lawn is as lush and green as possible, and to provide you with a new lawn that comes back every year as lush and green as possible when the winter ends and spring arrives. 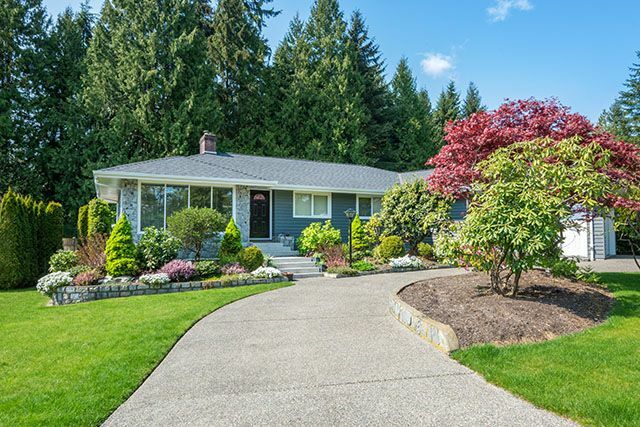 We know what works well in our particular climate and weather patterns, and we can help you keep and maintain a gorgeous lawn all year long. What many often forget is that it’s the simplest act of maintenance that makes any lawn look good all the time. Even the most beautiful lawns look less than perfect, messy and uninviting when they are left unmowed. Sadly, it’s not always easy to find time to mow the lawn. 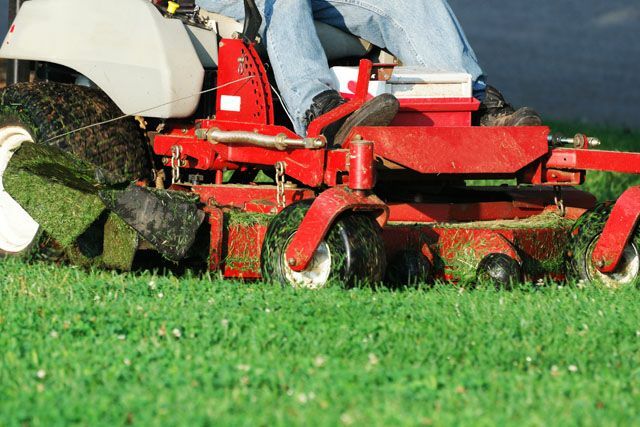 We know our Endwell, NY residents have a lot going on and a lot on their plates during the beautiful season that is summer, and that’s why we like to make sure you have a freshly mowed lawn to come home to at the end of the day when it needs a mowing. We don’t want your lawn getting out of control and leaving you feeling stressed and overwhelmed looking for time to mow. We want our Endwell, NY customers to know that their lawns will always be cared for at all times. What is the purpose of a retaining wall? Well, the functionality of it is necessary for some lawns. However, you don’t need one to have one. Any of our Endwell, NY customers can add a retaining wall purely for aesthetic reasons without an actual need for one. In fact, we recommend this since it does allow homeowners and business owners to create depth and design in their lawns, and it also helps to make things a bit more interesting, You can take advantage of the extra space provided by our retaining wall installation to add more flowers, to add more vegetation and even to create a bit more privacy in your lawn. Let our professionals help you create the retaining walls you’ve always wanted so that you can set your house apart from everyone else’s on your street. There is nothing more peaceful and relaxing than an evening on the patio with the kids playing in the yard, a glass of wine in hand and the setting sun. It should be a requirement that all homes come with custom patios meant for this kind of enjoyment. Let our professionals come talk to you about a custom walkway or patio so that you can start having more fun and relaxing more often. You’ll have no excuse not to make more time for the family with a gorgeous custom patio and a gorgeous walkway; it’s an investment into your family and your home. Not only will these add value to your home, they’ll add value to your family. More family dinners, more time outside eating and enjoying the beautiful seasons – our company knows what your family needs. Some Endwell, NY residents might purchase a bird bath for the yard and call it a day, but we like the idea of something that’s custom made and very personal to your family. That is why we specialize in custom water features that add a bit of interest and a bit of excitement to any yard. This is the perfect addition to one of our custom patios and walkways, and these gorgeous water features invite the kind of wildlife that you want into the yard for the enjoyment of the entire family. Let our service professionals help you create the lawn of your dreams. We can take your thoughts and desires and turn them into reality when you call us. Our job is to make sure you are always happy with your lawn, and it is also our job to ensure that you are able to increase the value of your home and life with custom landscaping made just for you. We know you are not the same as your neighbors or any of our other Endwell, NY customers, and that’s why we like to work with you to create something special and unique for your landscape that sets you apart from everyone else. Call us today to learn more about our services, our customer satisfaction promise and our dedication to our craft.